Makeup is one of those things that you, as a person, have to find a specific branding or kind you like, otherwise you're just wandering aimlessly down isles in brick and mortar storefronts or even worse, through the virtual isles of the www with a blank stare on your face! Truth be told, I'm not on the up-and-up with makeup or makeup companies, so I really don't have a preference. Which is exactly why I enjoy experimenting with different kinds and companies, such as Mia Mariu. 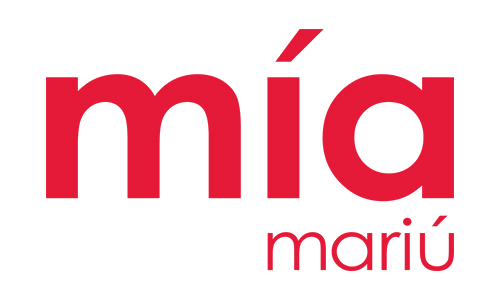 "Mía is a Dallas based health and beauty social selling company that offers entrepreneurial business opportunities for women. Our natural health and beauty products are available exclusively through our Independent Advisers and online. 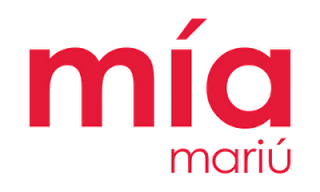 Mía offers an innovative approach to social selling using the power of ecommerce, social networking and personal service behind extraordinary natural health and beauty products." 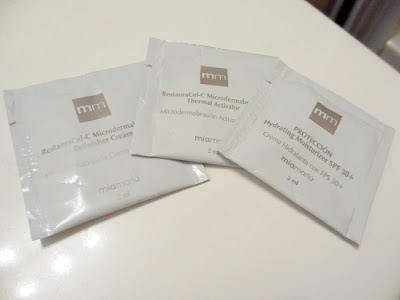 I was sent a plethora of goodies from Mia Mariu inclusive of sample packets of their RestauraCel-C Thermal Microdermabrastion Set and Hydrating Anti-Aging Moisturizer with SPF 30+, as well as their Perfecting Finish Mineral Foundation and Perfecting Finish Mineral Cream Foundation. As someone who doesn't wear makeup very often due to health reasons, I've been sitting on this review for well over a month and I feel so bad about that! I must apologize to the kind ladies of Mia Mariu and thank them for their patience and understanding. First up was the sample packs of their botanical skincare-It took me a little while to figure out what I was supposed to do with them because unfortunately the instructions on two out of the three packets weren't too clear, but through some trial and error, I finally managed to work it out! I really liked the way my skin felt after the microdermabrasion set; it was so soft! My only issue with those would be the strong smell accompanied by them. I'm more sensitive than others when it comes to smells, so I think that was just my mild MCS showing itself. Next came the liquid and cream foundations! While I enjoyed the nice finish the liquid mineral foundation gave me, I wasn't the biggest fan of the solid mineral cream foundation. It was just too hard to use in my opinion; if I would have had a makeup sponge or something that would have absorbed better, it probably would have been a different story. 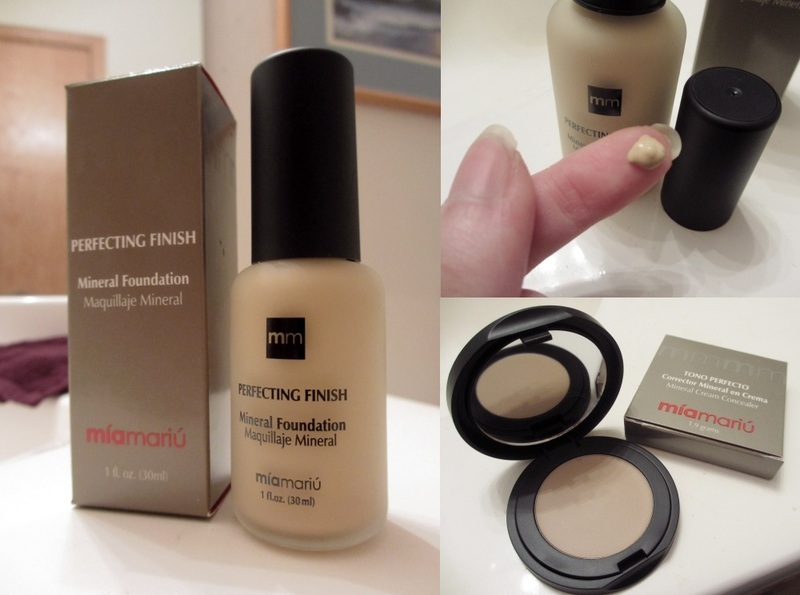 One of the things I did not like was the fact that I couldn't find EXACTLY what was in the makeup itself; it does list a few things that are included in the item descriptions, but it doesn't list each ingredient that makes up the makeup, which I usually like to see in anything that I buy, whether it be makeup, food, clothing, etc. All in all though, I quite enjoy and respect what Mia Mariu is trying to do through their products and company; empowering woman to be independent entrepreneurs, as well as throwing some philanthropy in there, this company strives to make the world a better place! 2. Contest will run from Monday, October 5th, 2012 to Monday, October 19th, 2012. 3. Open to US residents only-Sorry everyone else! That's 2 mandatory entries + 33 possible extra entries which = 35 entries total! 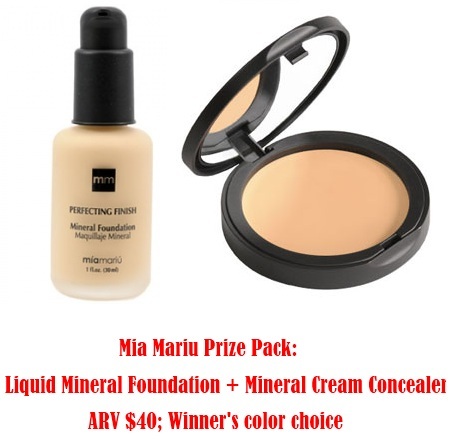 Disclaimer: I was provided products from Mia Mariu LLC at no cost to me in order to facilitate this honest review and giveaway. All opinions expressed in the above post are 100% mine and mine alone unless otherwise stated. This contest is open to US residents only and will run from Wednesday, October 5th, 2012 3:00pm central standard time until Wednesday, October 19th, 2012 11:01 pm central standard time. The winner will be chosen through Rafflecopter.com and be contacted within 24 hours of the drawing. You'll then have 48 hours (2 days) to claim your prize and send me all applicable information-If I haven't heard from you within that time frame, I will be forced to choose another winner. Cream Foundation Vainilla I guess & I agree with Cindy you do have perfect skin. I have tried many things with mind like dermabrasion or however you spell it for one, and a sunlamp and all kinds of things. I had bad acne as a kid and ended up with holes in my face. I hate them, but it costs a lot to get rid of them too (besides having big pores) I'M A FREAK! hehehe Okay I'm in control now. I love mineral makeup and would jump at the chance to try this! I'd be most interest in the touchup compact kit. The shade I would choose is Vainilla. I would also love to try the PERFECTING FINISH Mineral Liquid Foundation Vainilla and the RestauraCel-C Thermal Microdermabrasion Set! The shade I would choose is vanilla! I'd choose the Canela shade. I'd love to try the Anti-aging Brightening Serum. Thanks for the chance! I'd love to try the touch up compact kit! The Anti-aging Brightening Serum and the complete Anti-aging products I would like to give a try. i like the Mineral Cream Foundation Vanilla . id love to try the Anti-aging Brightening Serum! 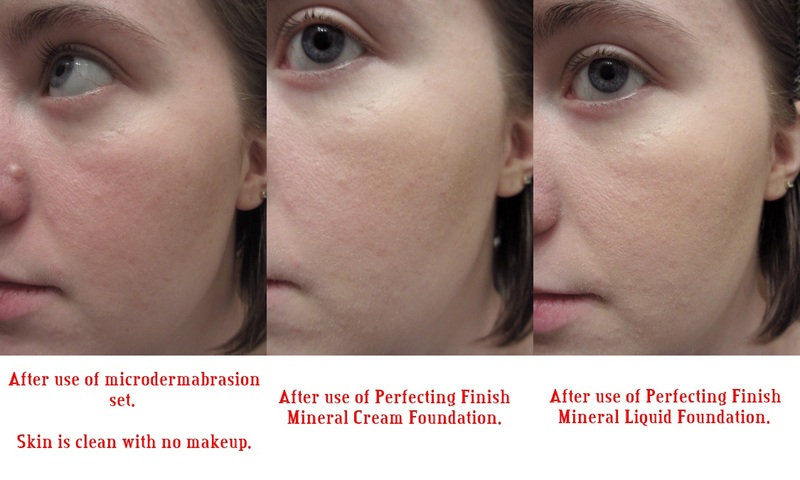 I'd love to try the Mineral loose Foundation! I think I'd choose Miel! I like the Adorame Eau de Parfum. The Vainilla shade looks like it would be best for me. the adorame perfume would be nice to try.. I would like to try the Hydrating Stick Gloss. I'd like the Touch-up compact kit! I would like to try the anti-aging eye treatment. The intense black eye liner! I want to try the black eye liners! The anti aging brightening serum. The essential minerals under the vitamin section. I'd like to try the brightening serum! And I would choose Vainilla. I love primer, so I would choose their Mineral Primer! I'd choose the shade Vainilla. I want to try the Essential Brow Brush No. 12. I'd like to try the Adorame Eau de Parfum! I'd pick the Mineral Cream Foundation Trigo shade! id try the touch up compact kit! I would love to try the hydrating stick gloss in seduccion. the Adorame Eau de Parfum looks amazing. I would like to try the PERFECTING FINISH Mineral Loose Powder Foundation Savanna. I would choose the Trigo shade if I won. I would like to try the Hydrating Stick Gloss! I like the Beso shade! Would love to try the Luminous Lip Gloss Ilusión. I'd love the touch up compact kit! I'd like to try the refreshing foaming gel cleanser.